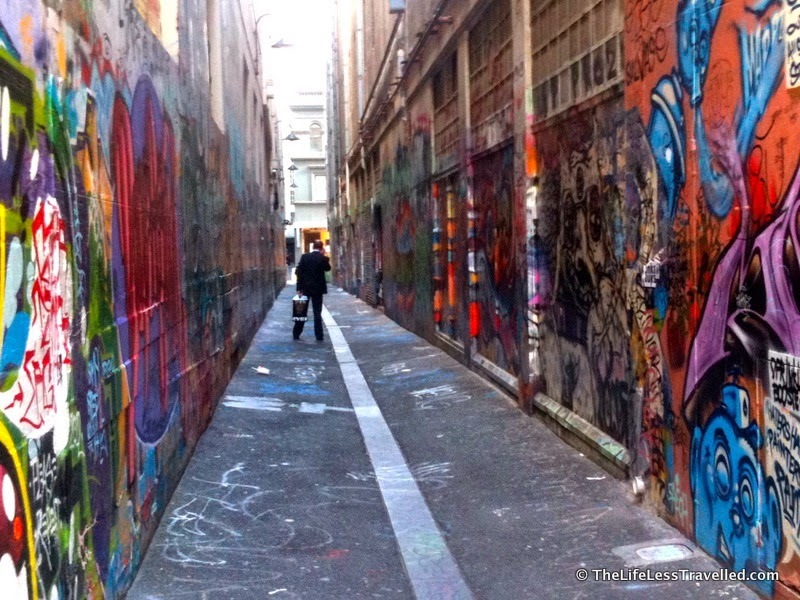 Melbourne has become known internationally for its diverse range of street art. This includes stencils, paste-ups and murals. 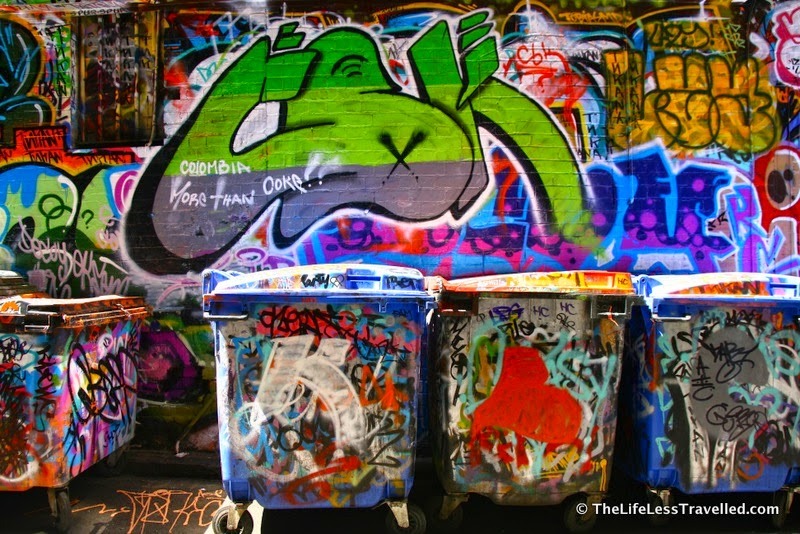 Street art is seen as an art form, whereas graffiti and tagging are regarded as vandalism. 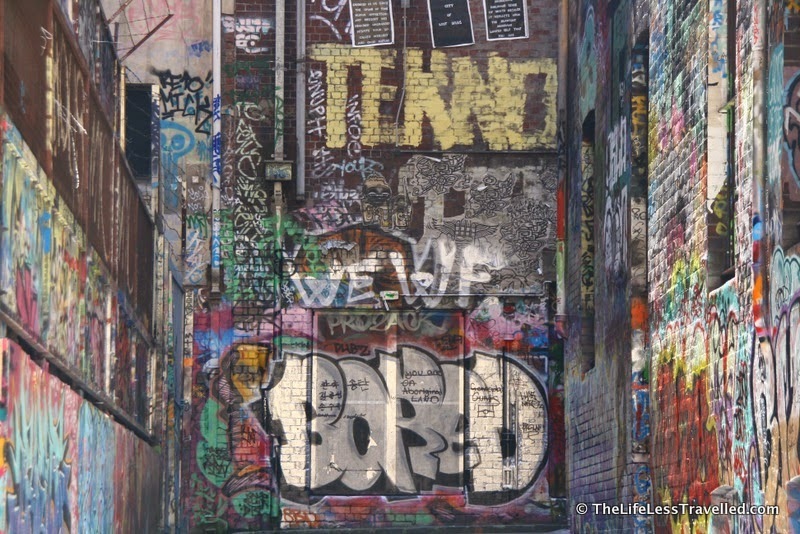 Street art is artistic work done with the permission of the person who owns the wall, and the permission of the Melbourne council. 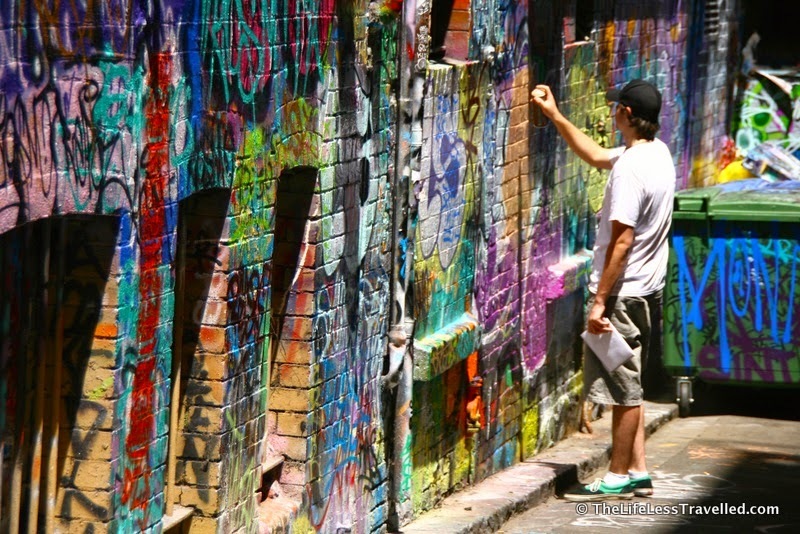 The council has a Street art permit that gives people legal permission to have their walls painted by street artists. Afterwards, if the condition of an approved street art site deteriorates (e.g. if it is tagged), the council works with the owner to maintain it in an acceptable condition. 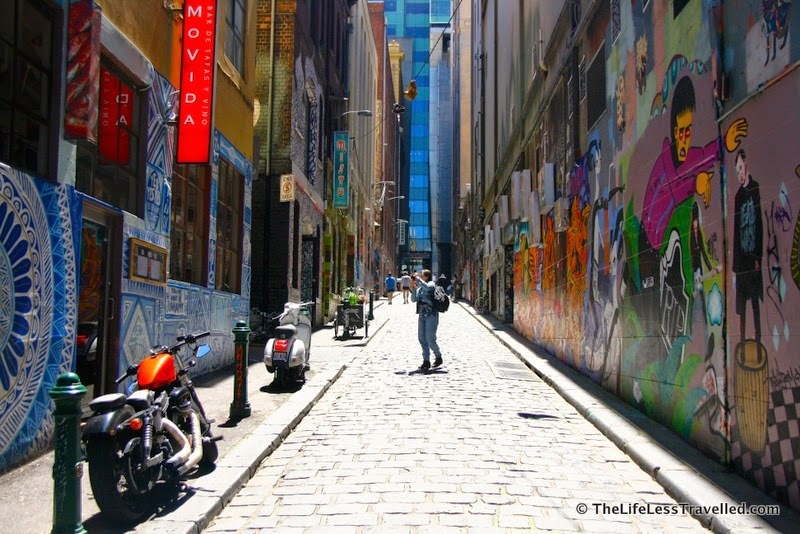 Street art can change on a day-to-day basis and has become a big part of Melbourne tourism and part of the culture. Some street art has even been added to the state’s Heritage Register. Graffiti is the marking of another person’s property without permission. This is illegal everywhere in Australia, including Melbourne. But have a look out the window the next time you take a train, as Melbourne's train lines are the main locations for graffiti and tagging. Melbourne even has a “Do art not tags” educational presentation, offered to primary school students in schools within the City. Actors visit classrooms and teach the differences between graffiti and street art. 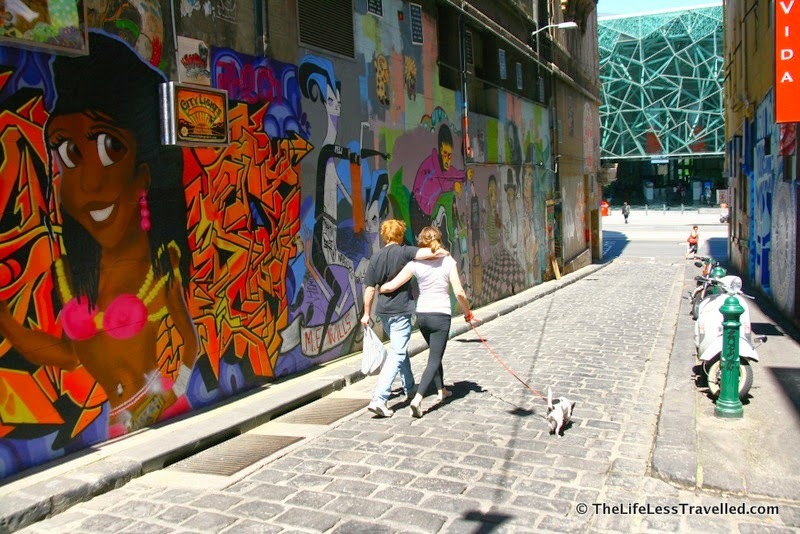 Other good areas within Melbourne’s inner metropolitan area include Collingwood, Fitzroy, Brunswick and Prahran. Fitzroy: Go along Brunswick street, between Alexandra Avenue and Johnson Street (maybe even as far as Gertrude Street) and check out the buildings on all the street corners. Then wonder into all the side streets. There's lots of great stuff! Collingwood: On Johnson Street, between Brunswick Street and Hoddle Street. Check out Fitzroy (above) then continue on to Collingwood. Visit the City of Melbourne website for more information, or if you'd like to find out more about permits. I absolutely love graffiti, but I have never seen real graffiti before. 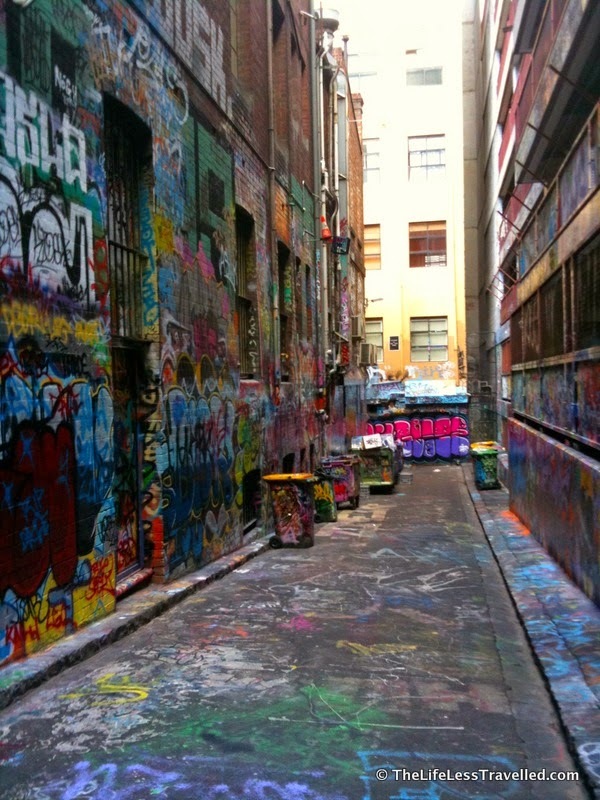 I wish I do get a chance to visit Melbourne once, so I can see it for myself.